I visited Belfast the last few days during some negotiations about unresolved problems between Unionist and Republican (or Nationalist) political parties, I was struck by the absolute dependence for any kind of credibility of this process upon the unblemished perceived neutrality of the mediating third party. It would have been so totally unacceptable to rely on Ireland or Britain to play such a role, and the mere suggestion of such a partisan intermediary would have occasioned ridicule by the opposing party, confirming suspicions that its intention must have been to scuttle the proposed negotiations. In the background of such a reflection is the constructive role played by the United States more than a decade ago when it actively encouraged a process of reconciliation through a historic abandonment of violence by the antagonists. 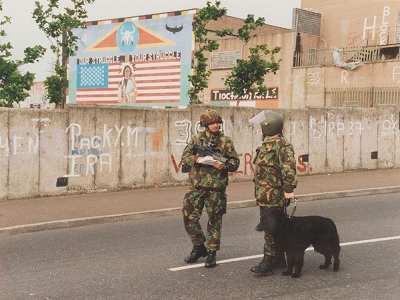 That peace process was based on the justly celebrated Good Friday Agreement that brought the people of Northern Ireland a welcome measure of relief from the so-called ‘Time of Troubles’ even if the underlying antagonisms remain poignantly alive in the everyday realities of Belfast, as well as some lingering inclination toward violence among those extremist remnants of the struggle on both sides that reject all moves toward accommodation. The underlying tension remains as Republican sentiments favor a united Ireland while the Unionists Having continue to be British loyalists, deeply opposed to any moves toward a merger with the Republic of Ireland. The current round of negotiations going on in Belfast involve seemingly trivial issues: whether the flag of the United Kingdom will be flown from the Parliament and other government buildings on 18 official holidays or everyday and whether the Irish tricolor will be flown when leaders from the Republic of Ireland are visiting Belfast; the degree to which annual Unionist parades passing through Republican neighborhoods of the city will be regulated to avoid provocations; and how might the past be addressed so as to bring belated solace to those who have grievances, especially associated with deaths of family members that were never properly addressed by those in authority at the time. Apparently, in recollection of the achievements attributed to George Mitchell, the distinguished American political figure who was principally associated with developing the proposals that produced the Good Friday Agreement, the present phase of an evolving accommodation process is being presided over by another notable American, Richard Haass. Haass is a former State Department official and current President of the Council on Foreign Relations, the influential establishment NGO in the foreign policy domain. In this setting the United States Government (as well as its leading citizens) is seen as an honest broker, and although the government is not now directly involved, an individual closely associated with the established order has been chosen and seems acceptable to the five Northern Ireland political parties participating in the negotiations. This effort to ensure the continuation of stability in Northern Ireland seems responsive to the natural order: that negotiations in circumstances of deep conflict do benefit from third-party mediation provided it is perceived to be non-partisan, neutral, and competent, and acts credibly and diligently as a check on the gridlock of partisanship. The contrast of this experience in Northern Ireland with what has emerged during the past twenty years in the effort to resolve the Israel/Palestine conflict could not be more striking. The negotiating process between Israel and Palestine is generated by an avowedly partisan third party, the United States, which makes no effort to hide its commitment to safeguard Israeli state interests even if at the expense of Palestinian concerns. This critical assessment has been carefully documented in Rashid Khalidi’s authoritative Brokers of Deceit: How the U.S. Has Undermined Peace in the Middle East (2013). Beyond this taint, sand is repeatedly thrown in Palestinian eyes by White House gall in designating AIPAC related Special Envoys to oversee the negotiations as if it is primarily Israel that needs reassurances that its national interests will be protected in the process while Palestinian greater concerns do not require any such indication of protective sensitivity. How can we explain these contrasting American approaches in these two major conflict-resolving undertakings? Of course, the first line of explanation would be domestic politics in the United States. Although Irish Americans by and large have republican sympathies, Washington’s multiple bonds with the United Kingdom ensure a posture of impartiality would be struck from the perspective of national interests. The United States had most to gain in Ireland by being seen to help the parties move from a violent encounter to a political process in pursuing their rival goals. Such would also seem to be the case in Israel/Palestine but for the intrusion of domestic politics, especially in the form of the AIPAC lobbying leverage. Can anyone doubt that if the Palestinians had countervailing lobbying capabilities either the United States would be excluded as the diplomatic arbiter or it would do its best to appear impartial? There are other secondary explanatory factors. Especially since the 1967 War, it has been a matter of agreement with American policymaking circles, that Israel is a reliable strategic ally in the Middle East. Of course, interests my diverge from time to time, as seems recently to be the case in relation to interim agreement involving Iran’s nuclear weapons program, but overall the alliance patterns in the region put the United States and Israel on the same side: counter-terrorist operations and tactics, counter-proliferation, containment of Iran’s influence, opposition to the spread of political Islam, support for Saudi Arabia and conservative governments in the Gulf. Since 9/11, in particular, Israel has been a counter-terrorist mentor to the United States, and to others in the world, offering expert training and what it calls ‘combat-tested weaponry,’ which means tactics and weapons used by Israel in controlling over many years the hostile Palestinian population, especially Gaza. A third, weaker explanation is purported ideological affinity. Israel promotes itself, and this is endorsed by the United States, as the ‘sole democracy’ or ‘only genuine democracy’ in the Middle East. Despite the many contradictions associated with such an assertion, ranging from eyes closed when it comes to Saudi Arabia or the Egyptian coup to a wide-eyed refusal to notice the Israeli legalized pattern of discrimination against its 20% Palestinian minority. It has been persuasively suggested that part of the reason that Arab governments are reluctant to support the Palestinian struggle is the fear that its success would destabilize authoritarian regimes in the region. In this regard, it was the first intifada, back in 1987, that seems in retrospect to have been the most important antecedent cause of the 2011 Arab Spring. It is also notable that despite the profession of democratic values in the Middle East, Israel showed no regrets when the elected government in Egypt was overthrown by a military coup whose leadership then proceeded to criminalize those who had been chosen only a year earlier by the national electorate to run the country. These are weighty reasons when considered together, help us understand why the Oslo Framework and its Roadmap sequel, and the various negotiating sessions, have not produced an outcome that remotely resembles what might be fairly described as ‘a just and sustainable peace’ from a Palestinian perspective. Israel has evidently not perceived such a conflict-resolving outcome as being in its national interest, and has not been given any sufficient incentive by the United States or the UN to scale back its ambitions, which include continuous settlement expansion, control over the whole of Jerusalem, denial of Palestinian rights of return, appropriation of water and land resources, intrusive, one-sided, and excessive security demands, and an associated posture that opposes a viable Palestinian state ever coming into existence, and is even more opposed to give any credence to proposals for a single secular bi-national state. What is more, despite this unreasonable diplomatic posture, which attains plausibility only because of Israel’s disproportionate influence on the intermediary mechanisms and its own media savvy in projecting its priorities, Palestine and its leadership is mainly blamed for the failures of the ‘peace process’ to end the conflict by a mutually agreed solution. This is a particularly perverse perception given Israel’s extreme unreasonableness in relation to resolution of the conflict, the U.S. partisanship, and Palestine’s passivity in asserting its claims, grievances, and interests. Finally, we must ask why Palestinian leaders have been willing to give credibility for so long to a diplomatic process that seems to offer their national movement so little. The most direct answer is the lack of the power to say ‘no.’ This can be further elaborated by pointing to the lack of a preferable alternative. 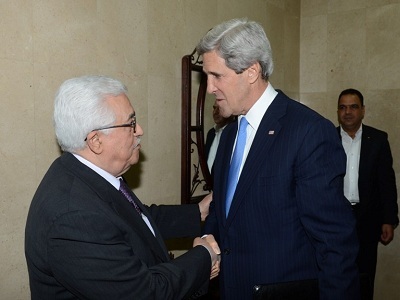 A further indication of Palestinian diplomatic dependence, is the degree to which the United States exerts pressure on Ramallah because it finds the management of this bridge to nowhere of the peace process to be useful, despite its many frustrations and failures, allows Washington to exhibit both a commitment to peace and to Israel. The American Secretary of State, John Kerry, has in recent months pressured the parties to resume peace talks, talking often of ‘painful concessions’ that both sides would have to make if the negotiations are to succeed. This misleading appeal to symmetry overlooks the gross disparity in position and capabilities of the two sides. Whether such a disparity is so great as to make it dubious to use the language of conflict is itself an open question. Would it not be more forthright and revealing to ask due to the degree of inequality, whether Palestine has any capability to say anything about the terms of a resolution other than ‘yes’ or ‘no’ to what Israel is prepared at any time to offer? In this sense it more closely resembles the end of a war in which there is a winner and loser except that here the loser at least retains the sovereign right to say ‘no.’ Also it needs to be observed, that this perception is deeply misleading because it overlooks what might be called ‘the other war,’ that is, the Legitimacy War that the Palestinians are winning, and given the history of decolonization, seems to have a good chance of controlling the political outcome of the struggle. Returning to the inter-governmental approach, it should also be noticed that the diplomacy does not take account of the historical background. Did not Palestine concede more than enough before the negotiations even began, accepting a frame for territorial proposals that seems content with 22% of historic Palestine, although this territory is less than half of what the UN partition plan proposed in 1947, and seemed then to be unfair given the ethnic demographics at the time? We should also take account of the relevance of the supposed basic UN policy against the acquisition of territory by the use of force, which would seem to mandate a rollback of Israeli territory at least to the 1947 UN proposals contained in General Assembly Resolution 181. The implication of Kerry’s painful concession rhetoric is that Israel would only be expected to remove some isolated settlements and outposts in the West Bank even though they were unlawful ever since established, and could retain the valuable land it has appropriated for the settlement blocs established since 1967 despite their existence being in flagrant violation of Article 49(6) of the Fourth Geneva Convention. In other words, Palestine is expected to give up fundamental rights while Israel is supposed to abandon some relatively minor unlawful aspects of its prolonged occupation of the West Bank and retain most of the ill-gotten gains. My favourite scholar – Paulo Freire – stated that if you decide not to interfere in the conflict between the weak and strong then you are choosing conscientiously the side of the strong. Unfortunately, world is doing so and lets Israel benefit from this lack of action. 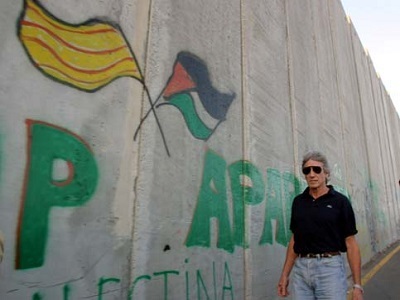 Palestine does not offer immediate financial benefits for the world business so no one cares. Country I came from – Poland – was in the same situation. Nobody respected it, nobody cared… until we got lucky to be transformed into economically viable state. Now, we are accused to be anti-Semitic, anti-Russian, anti-American, anti-everything… because we question things which are not just.